A printer that sits and spools for an age when you are already onto your next project and you need those pages asap is a printer with a problem. Thankfully, with our superb ram upgrades your IBM or Lenovo printer can soon be cutting edge and printing quickly, crisply, and exactly as you want it to. No one needs a printer that lags and can’t quite get the job done. 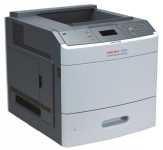 Installing our printer memory will prevent any delays and ensure that you can get the your work completed on time and without having to buy a brand new printer. Offtek’s IBM and Lenovo printer memory upgrades are cost effective and high quality.